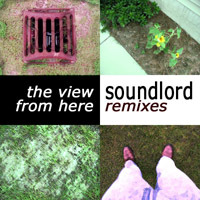 MFT- Ahhhh (soundlord remix) (July 20, 2001) (download here). MFT- Ahhhh Mix (2001) (download here). 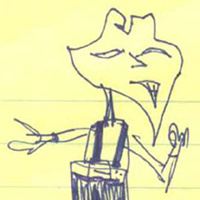 back in 2001 a friend of mine, Michael MacBride, had a one-man electronica band called MFT. He produced some pretty inspired songs in those days, and the two of us did a pretty good job of inspiring each other to create techno music in our free time (which, back then, we had quite a bit more of). one of the things we did back in those days was remix each others songs; he created a remix of Mindwipe, long since lost… and I made a remix of his Ahhhh Mix, a 12 minute ambient tune featuring some chunky beats. here I have included my remix (the top link – I went by the moniker soundlord back then), and below that, the original Ahhhh Mix. By listening to them both you can tell that the remix is not a whole lot like the original; it was fun remixing the song using my own style (which, even back in 2001, veered toward melodic trance), with sounds from my principal synth at the time, my E-mu E-Synth sampler and synthesizer. an interesting piece of trivia is that this remix was created using Cubase VST on a Windows machine. Currently the songs I have been creating have been produced using Ableton Live 8 on a newer Windows machine; however, just Friday I received in the mail my new machine – an Apple Macbook Pro. I also received the latest version of Logic Studio in the mail, so I’m going to be experimenting with that. Cubase, then Ableton, then Logic – by the time I’m done I’ll have completed a pretty thorough tour of DAW (Digital Audio Workstation) software. Futurists – Bobbins: First take (March 8, 2009) (download here). I actually think this song is pretty good. It has a bit too much sound wandering from ear to ear (which is a function of the instrument I used, and the type of reverb on it), but generally I think it has a decent downtempo vibe, and I like the breakbeat near the middle. the end actually features three instances of the same instrument (off the Blofeld), recorded three separate times and tracked once in the left ear, once in the right ear, and once in the center. I really like it, though I’d understand if people didn’t think it fit.